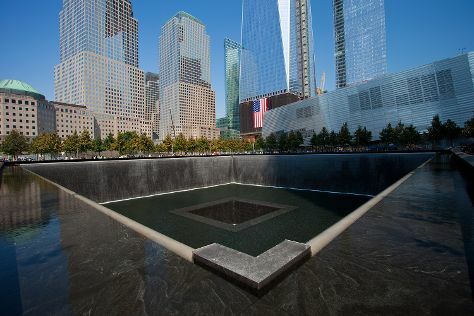 Your list of things to see and do now includes 9/11 Memorial, American Museum of Natural History, Central Park, and other attractions. On the 16th (Thu), take in panoramic vistas at Empire State Building, then make a trip to Grand Central Terminal, and then appreciate the history behind 9/11 Memorial. On your second day here, learn more about the world around you at American Museum of Natural History and then take in the pleasant sights at Central Park. To see other places to visit, traveler tips, more things to do, and other tourist information, you can read our New York City trip planning website . Washington DC to New York City is an approximately 3.5-hour flight. You can also take a train; or drive. Traveling from Washington DC in May, you will find days in New York City are slightly colder (69°F), and nights are about the same (55°F). You will leave for New Haven on the 18th (Sat). New Haven, in the U.S. Kick off your visit on the 18th (Sat): learn about winemaking at Rosabianca Vineyards. Get ready for a full day of sightseeing on the next day: do a tasting at Coffee Pot Cellars Tasting Room, do a tasting at Mattebella Vineyards, and then learn about winemaking at One Woman Wines & Vineyards. For ratings, other places to visit, where to stay, and other tourist information, use the New Haven vacation planner . Traveling by car from New York City to New Haven takes 2 hours. Alternatively, you can take a train; or take a bus. Traveling from New York City in May, expect a bit cooler with lows of 50°F in New Haven. Cap off your sightseeing on the 19th (Sun) early enough to catch the train to Providence. On the 20th (Mon), look for gifts at Sweenor's Chocolates, browse the exhibits of Lippitt House Museum, get a taste of the local shopping with Providence Art Club, then browse the eclectic array of goods at The Providence Flea, and finally perfect your strike at R1 Indoor Karting. For reviews, other places to visit, and tourist information, you can read our Providence trip itinerary site . Getting from New Haven to Providence by train takes about 1.5 hours. Other options: drive; or take a bus. May in Providence sees daily highs of 70°F and lows of 49°F at night. Finish your sightseeing early on the 20th (Mon) to allow enough time to take a train to Boston. Head to Omen: Psychic Parlor and Witchcraft Emporium and Boston Public Marketfor some retail therapy. Orchard House and Castle Hill on the Crane Estate will appeal to history buffs. Explore Boston's surroundings by going to Gloucester (Cape Ann Museum & Wingaersheek Beach), Buckman Tavern (in Lexington) and Motif Number 1 (in Rockport). And it doesn't end there: wander the streets of Back Bay, enjoy the sand and surf at Nantasket Beach, and explore the different monuments and memorials at Mount Auburn Cemetery. To find more things to do, maps, reviews, and other tourist information, read our Boston online itinerary planner . Getting from Providence to Boston by train takes about an hour. Other options: drive; or take a bus. May in Boston sees daily highs of 67°F and lows of 50°F at night. Wrap up your sightseeing on the 23rd (Thu) early enough to travel to Concord. Concord is the capital city of the U.S. Start off your visit on the 24th (Fri): indulge your thirst for a good beer at Henniker Brewery, then contemplate the long history of Pierce Manse, then admire all the interesting features of Gould Hill Farm, and finally admire all the interesting features of Beech Hill Farm & Ice Cream Barn. For more things to do, photos, where to stay, and more tourist information, refer to the Concord trip itinerary builder site . Traveling by car from Boston to Concord takes 1.5 hours. Traveling from Boston in May, expect little chillier with lows of 44°F in Concord. Finish your sightseeing early on the 24th (Fri) to allow enough time to travel to Portland. Start off your visit on the 25th (Sat): enjoy the sea views from Portland Breakwater Lighthouse, then indulge your thirst for a good beer at Maine Beer Company, then steep yourself in history at Fort Popham State Historic Site, and finally indulge your thirst for a good beer at Rising Tide Brewing Company. 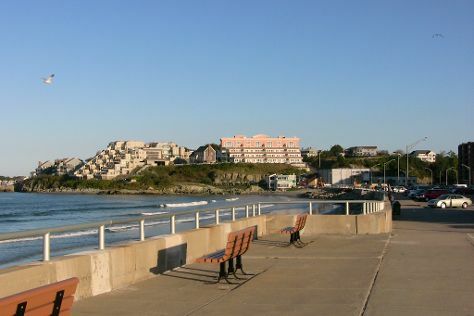 Get ready for a full day of sightseeing on the next day: enjoy the sand and surf at Gooch's Beach and then stop by Maine-ly Drizzle. Use Inspirock's suggestions to plan your Portland trip and find the best activities and attractions for your vacation. You can drive from Concord to Portland in 2 hours. When traveling from Concord in May, plan for little chillier days and about the same nights in Portland: temperatures range from 64°F by day to 45°F at night. Finish your sightseeing early on the 26th (Sun) so you can travel to Trenton. Trenton is the capital city of the U.S. Kick off your visit on the 27th (Mon): stop by The Doylestown Bookshop, then do a tasting at Old York Cellars, then do a tasting at Cream Ridge Winery, and finally explore and take pictures at Howling Woods Farm. Keep things going the next day: ponder the world of politics at New Jersey State House, then don't miss a visit to Snipes Farm & Education Center, then steep yourself in history at Pennsbury Manor, and finally tee off at Mercer Oaks Golf Course. Planning Trenton trip won't be overwheling when you use's Insprock itinerary maker. Getting from Portland to Trenton by car takes about 6 hours. Other options: fly. Traveling from Portland in May, things will get a bit warmer in Trenton: highs are around 72°F and lows about 52°F. Finish your sightseeing early on the 28th (Tue) to allow enough time to travel to Dover. Dover is the capital and second-largest city in the U.S. On the 29th (Wed), ponder the world of politics at Old State House, then get a taste of the local shopping with Fifer Orchards - Farm, Country Store and CSA, and then learn about winemaking at Harvest Ridge Winery. For other places to visit, photos, and more tourist information, you can read our Dover visit app . Getting from Trenton to Dover by car takes about 2 hours. In May, daytime highs in Dover are 72°F, while nighttime lows are 55°F. Cap off your sightseeing on the 29th (Wed) early enough to go by car to Ocean City. For more things to do, reviews, other places to visit, and other tourist information, go to the Ocean City trip builder . Traveling by car from Dover to Ocean City takes 2 hours. Alternatively, you can do a combination of bus and taxi; or do a combination of bus and shuttle. In May, daytime highs in Ocean City are 69°F, while nighttime lows are 55°F. Finish your sightseeing early on the 30th (Thu) to allow enough time to travel back home.